Craig Hutchison began his career as a journalist with News Corporation’s Australian newspaper, before moving on to establish a highly-acclaimed career within the Australian commercial television industry. Following a successful run at Melbourne’s Herald Sun newspaper within their Sport department, Hutchison was poached to produce The Big Sports Breakfast on the newly re- launched Sport 927 radio station in 1996. Transitioning into TV soon after, he was appointed Chief Football Reporter at Channel 10 in 1997, as well as commencing work at Melbourne’s Triple M radio station. In 1999, Hutchison moved to Channel 7 as their Chief Football Reporter, residing in the role for eight years. He went on to win the Australian Football Media Association award for Best Electronic Reporter a record 11 times and in 2007, he was bestowed the prestigious Walkley Award. In 2006, Hutchison established Crocmedia with fellow Aussie James Swanwick. Initially created as a public relations and news distribution business, Crocmedia quickly developed into an innovative media content and entertainment business specializing in radio syndication, television and online programming. Following a defection from the Seven Network, Hutchison joined the Nine Network in 2007 in the specially created role of AFL Editor. 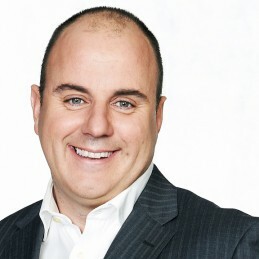 His reputation for breaking top stories has seen him play an instrumental role as a presenter and host of hugely popular AFL programs such as The Footy Show, The Sunday Footy Show, Future Stars and the award-winning Footy Classified. In 2008, Hutchison founded the Saturday morning sports radio show, Off the Bench. Broadcast on SEN 1116 and syndicated nationally to over 100 regional markets, the program enjoys a cult following among its weekly listeners. As CEO of the Crocmedia Group, Hutchison’s vision and entrepreneurial nature has seen the company grow from four employees to over 80 in ten years. Today, Crocmedia produces 36 radio programs and 6 TV shows throughout the year. His witty and professional manner has made him an in-demand master of ceremonies and expert panelist.